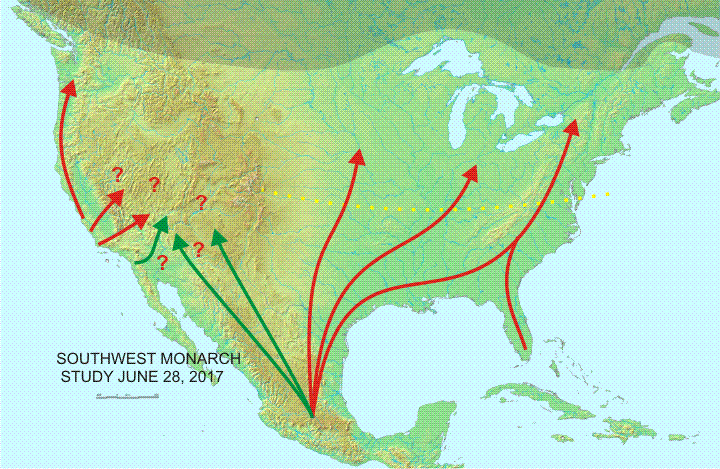 In most years in the East, by the time monarchs reach a latitude of 39 to 40 degrees (dotted yellow line) all the the monarchs who overwintered have died and the new generations move forward. How this works in the West is less well known. However, citizen scientists have documented spring migration movement in several locations in the southwest.